F-I-L is a open source library for image processing on FPGA, it already contents many useful operations, and is updating. All the operations are packaged to IPCores, and of course they follow a same and standardized interface, moreover, each of them can work on piplines-mode and req-ack mode. 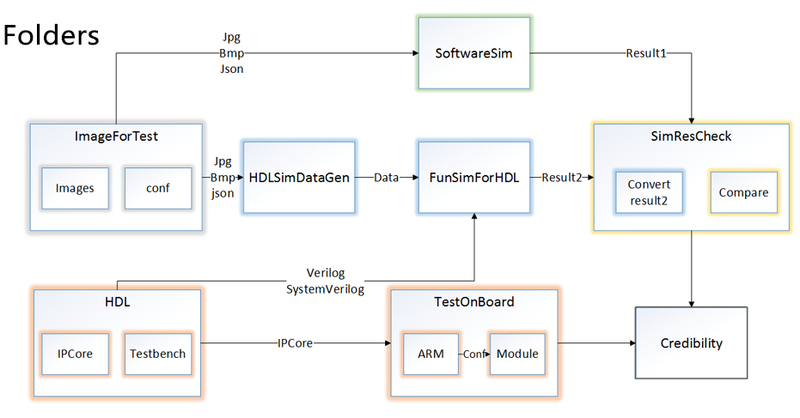 Certainly, all IPCores have their software simulations, functional simulations and testing on board, the same folder structure and interface can make user do simulations and testing conveniently.